Linking up with Ashley and Neely again. Every so often we reintroduce ourselves... Sunday Social is well into it's second year, so welcome new readers! My blog is called 'London Calling' - I'm in London and my blog is 'calling' out to readers everywhere! I enjoy sharing things. Sometimes places I go, sights I see, pictures, my life, my cat (professionally cute). 4. What was your favourite post you wrote in 2013? Far and away the retrospective of our wedding! Magical wonderful day. 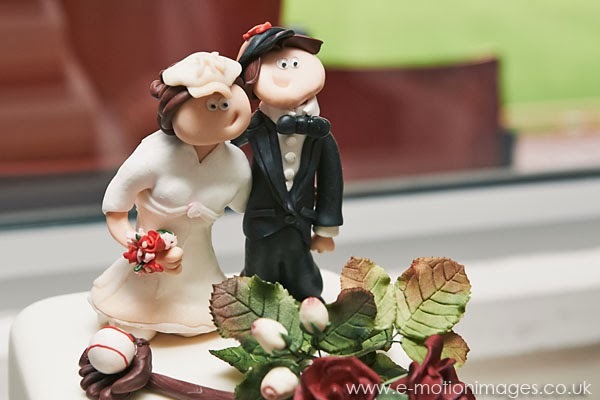 The picture below was our wedding gift from one of my bridesmaids who made the wedding cake topper for us. The dress is my dress, and we are both wearing our baseball caps! (photo will take you to the post). 5. What are you blogging goals for 2014? Back to basics. Engage with the audience; get back to London (get out and about around London! ); write regularly (will be easier now I've learned how Blogger on my phone acutally works) and interact with other Blogging friends; I've found my Google Take-out from Reader so I can properly catch up! 6. Top 3 favourite blogs to follow? The world of Formula One. Fantastic read if you need to keep up with whats going on but don't catch qualifying or fall asleep in the race... Liz has a fantastic view of the world of F1. Linda gives little views of Scotland, with some amazing pictures. If you've never visited Scotland this will make you want to go! Chris mixes little views of life with fantastic pictures, it is like a lovely coffee table book in a blog.